Star Wars 9 is out in December and is widely expected to finally announce its title – and potentially drop a first teaser trailer – this Friday. Very little is currently known for sure about the film’s plot, but it has been theorised by fans that Anakin Skywalker could return as a fitting way to bookend the so-called Skywalker Saga, which spans all three trilogies. Now, this latest purported leak spills more details as to how that could happen. Star Wars YouTuber Mike Zeroh, who has almost 160,000 subscribers, has a mixed track record with accuracy – and has already made multiple claims about how Anakin will appear or be alluded to in the next film. So for the time being, it’s best to take this latest suggestion with the usual pinch of salt – though it certainly sounds intriguing. In a new video, he talks of a scene that finds Rey “inside of the Lost City within the Jedi location – where it’s described that Rey begins to hear a voice that is of Anakin Skywalker. “It’s said that Rey is inside a cave full of ancient runes. “There is a black-cloaked figure with a hood over its head, with one blue glowing eye – said to be the hybrid Force Ghost of Anakin Skywalker. Zeroh goes on to talk of shots of Rey “heading down a set of stairs… following Anakin to the Sith location within the Lost City”, before his Force Ghost disappears. “It almost sounds as if this is going to be a horror element within a Star Wars movie, similar to Rey going to the basement of Maz Kanata’s castle [in The Force Awakens],” Zeroh added. The YouTuber never at any point gives any information about the positioning of his sources. 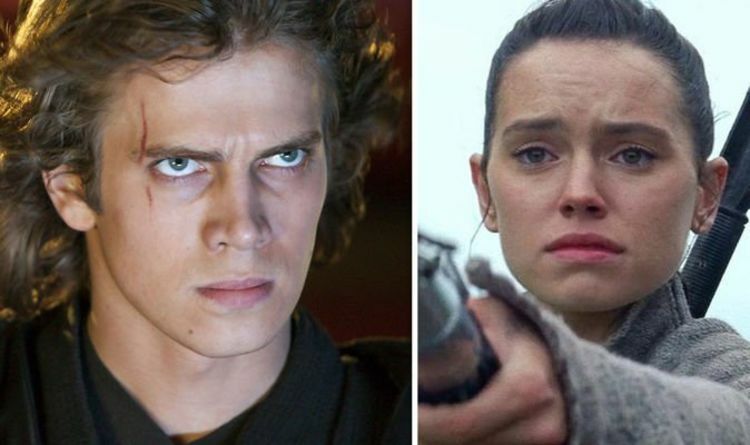 Hayden Christensen’s return is undoubtedly something that fans are keen to see, but will it happen? We’ll have to wait a little longer to find out. In the meantime, it’s been claimed that JJ Abrams will not adjust the reveal about Rey’s parents that writer-director Rian Johnson dropped in The Last Jedi.